Every time I’m asked this question, my answer changes a little bit. I think that’s true for a lot of us. 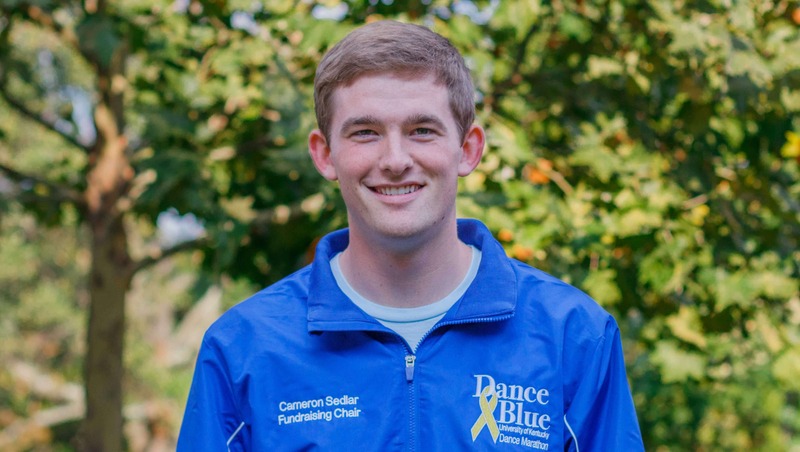 At any point in time, DanceBlue means something a little different to each person involved. But no matter what, it always means something so special to each of us. Each year I’ve been involved, I have moved up the DanceBlue hierarchy. I moved from committee member my freshman year, to coordinator my sophomore year, to now the Fundraising Chair for my junior year. 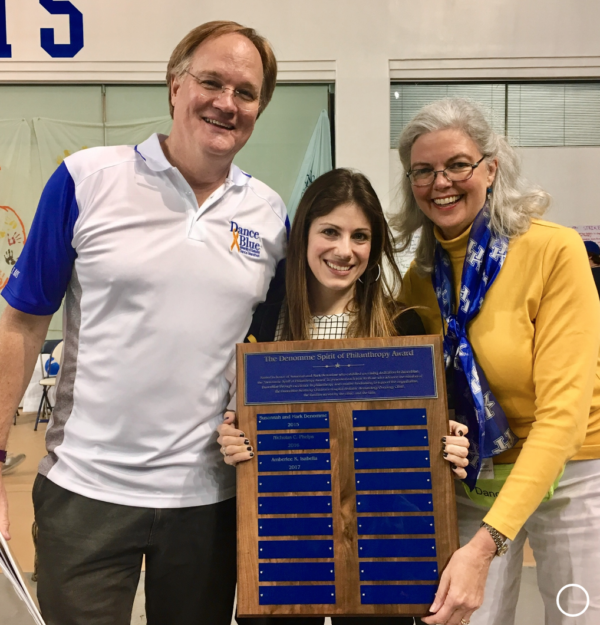 What I’ve learned over the last three years is that the more I give to DanceBlue, the more I grow as an individual, and the more special the marathon becomes. A common phrase in DanceBlue is FTK, which stands for For The Kids. This phrase is a way of expressing that DanceBlue’s actions are supporting the kids fighting pediatric cancer. For me, I like to say that I am FTKAF, which stands for For The Kids And Families. I add on the extra two letters because that’s how I fall into the cancer world. When I was just a few years old, my older sister Caitlin was diagnosed with Non-Hodgkins Lymphoma. That’s a long and messy name for a cancer that started as just a little bump on her leg. After a year of chemotherapy and radiation, Caitlin won her battle against cancer. It didn’t hit me until much later in my life how lucky I was for her victory. She is an inspiration to me to this day, as she now serves as a pediatric oncology nurse on the exact floor that she was a patient! Even though I was very young at the time and do not personally remember the entire process, I still have an understanding of how difficult this diagnosis was not only for my sister but for my family. From hearing stories of how my mom would be on her way to visit my sister in the hospital and would pass dozens of kids who sat alone in their rooms because their parents had to work to pay all of the bills to the little cancer reminders that randomly pop-up for my family on a regular basis. The experience of having a family member battling cancer affects everyone in a way that most don’t realize. On family vacations, I watch my sister put on extra SPF sunscreen on her scar so that she doesn’t cause any further skin damage. To this day, my mother still panics if we have the sniffles or a cough during allergy season out of fear that it could be something more. Even though my sister’s battle has long been over and won, cancer loves to remind my family of the times we always try to forget. Fast forward to my junior year of high school when I was first introduced to DanceBlue. At the time, I was oblivious to the ways that it would change my life. My high school put on its own “Mini Marathon,” which is basically a 6-hour version of DanceBlue. 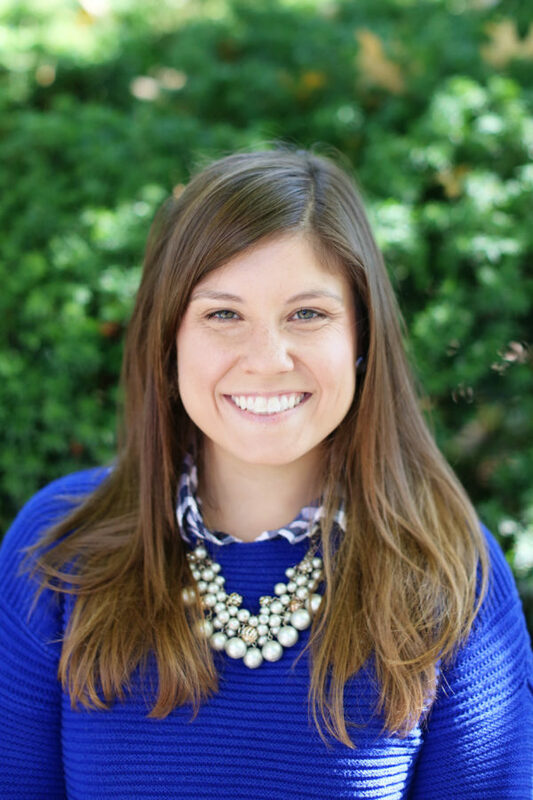 In high school, everything seemed to be about improving your college application by being a part of any and every student organization that you could involve yourself in. I remember thinking, “this sounds like a cool club, and I have a connection to cancer so maybe I should join.” So I did. Something was different about this club though. I looked forward to every meeting and loved talking about the things we were doing to all my classmates and teachers. It was the first time that I genuinely felt connected to an organization and passionate about its cause. Entering college was terrifying. I think it hits every freshman student as they say goodbye to their parents, close the door to their dorm room, and realize that they’re officially on their own. I knew I needed to find something to involve myself in so I could make friends, stay busy, and grow as a young man. There was no better fit for me than DanceBlue. I remember walking into the first committee meeting and freezing at the sight of 149 strangers. I remember thinking to myself “Oh gosh, what have I gotten myself into?” I had no idea where to sit. Luckily, I saw one familiar face, which was the face of the girl who I interviewed with. So I ran to the empty seat next to her and prayed I would fit in. It was in a seat in room 320 of the Chem-Phys Building that I began the journey of the best years of my life. 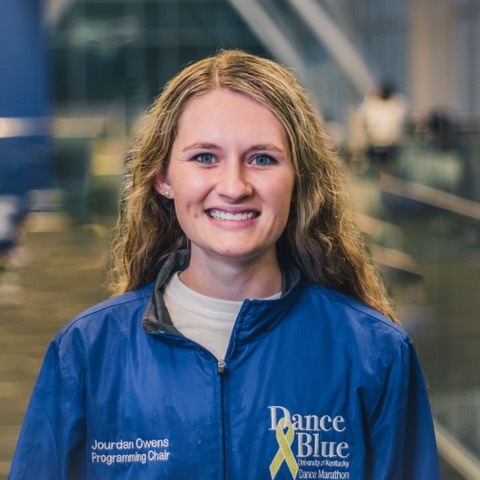 It was during my first marathon that I had my “DanceBlue moment.” Everyone involved with DanceBlue can tell you that it happens. It’s overwhelming, and it’s unique to each individual. But at some point, everyone who gives a little bit of themselves to this organization has that moment when you realize “this is why I do this.” For me, it happened during the “Memorial Hour,” which is one of the very last hours of the marathon where we remember those kids who have lost their battle against pediatric cancer. At this point, my feet were aching more than I ever imagined, I had memorized the line dance by heart, I was thinking about was how great a shower was going to feel, and I was calculating how many hours of sleep I could get before my next class on that Monday morning. All of a sudden, a slideshow starts to play, showing just simple names and faces of sweet little boys and girls who weren’t as lucky as my sister. Watching that slideshow made me realize that my sister’s name and image could have easily been pictured up on one of those slides. She could have been with all those kids whose lives were taken from them, yet were never to be forgotten. I never realized how lucky I was to not have a missing piece in my family. And from that moment, I made it my mission to do anything and everything I could to help those kids and their families, so that more brothers, sisters, moms, and dads, don’t have to see their child featured on those slides. Unfortunately, my connection to cancer has recently grown stronger. Within the past year, I lost my uncle Curtis to appendix cancer and my “papaw” Earl to leukemia. It has not been an easy year, to say the least. However, it is through the support of my family, friends, and community that I can make it through these tough times. In a way, DanceBlue gives me the opportunity not to let cancer win, no matter how many times it keeps trying to stick around. DanceBlue has become a way for me to keep fighting for my own family and for the hundreds of families like mine that have to deal with this monster way too often. So I am asking you to donate to this life-changing cause and help in any way you can to end the battle against pediatric cancer. I think we sometimes forget how big of an impact a cancer diagnosis has on families. Siblings get placed on the backburner so that their brother or sister get the proper care and attention they require. Parents lose sleep at night, wondering how they are going to pay the bills, or if they’ll ever have to bury their sick child. Finally, these kids worry on a daily basis if they’ll ever get to play their favorite sport again, go back to school with all their friends, or if their hair will ever grow back. No family should ever have to go through this process. But if a child does have to fight the battle against pediatric cancer, let’s remind them that they are not alone. Here at UK, there are hundreds of passionate students like myself who stand for them every year and hope to remind them that they do not have to face this battle alone. 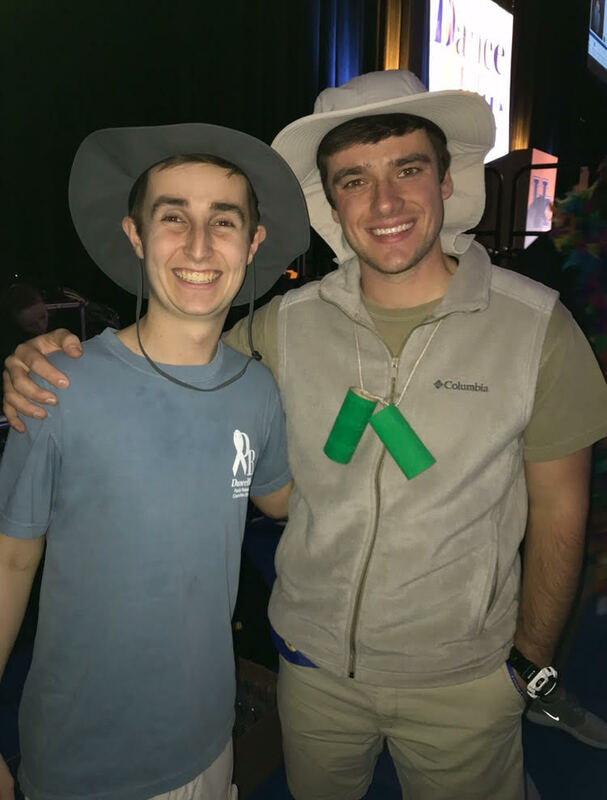 A donation of any size helps DanceBlue fulfill its mission and goal to provide care and support for the kids by giving them and their parents comfort. We cannot do it without you. Together, let’s end the battle against pediatric cancer and find the cure! FTKAF!